Since when did I become a grownup and start loving home products? Seriously, I also gravitate towards home sections now, and walk around saying I want everything every time I enter a Crate and Barrel. My latest love is pillows. It's such an easy way to change up the look of your place, without having to go out and but all new everything. 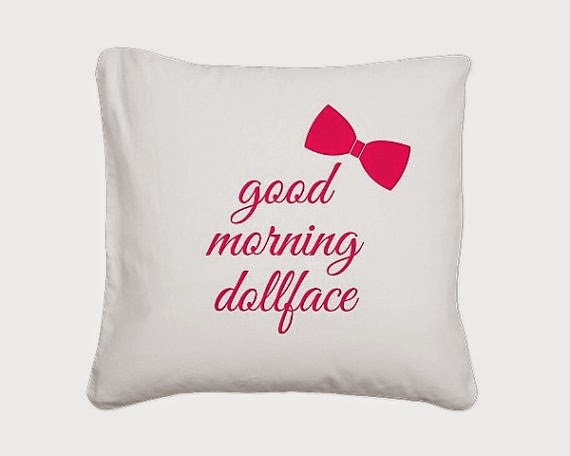 Change a few throw pillows, and you have an entirely new look! I love the pillows in my living room (all from HomeGoods), but I'm a little over the ones on my bed. I've had them for a while, and they're a little worse for the wear after I had a cat for about a year (long story). Living room pillows. I just love the bright colors, and pretty much everything will look nice on my white couch. Bedroom pillows. They're looking a little drab, and the beading is messed up on pretty much all of them. My cat thought the beads were her toys. 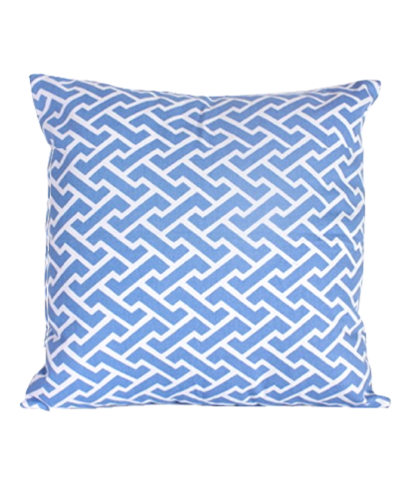 Here are some pillows I am loving right now! Preppy Printshop: This fabulous etsy store is run by Ashley at History in High Heels and I just love everything. She sells her designs in prints and pillow cases, and I love that the cases are white, since my bedding is pink! Design Darling (1, 2): I've talked before about how much I love Mackenzie's blog and online boutique, and no shocker here, I am loving the pillows she just added. 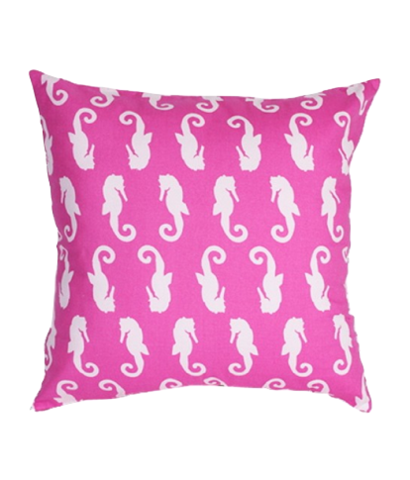 The seahorse one would be such a fun summer addition and the blue one would match my floral accent pillowcases! 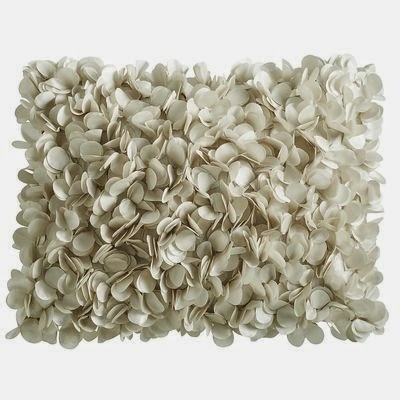 What kind of accent pillows are your favorites? Just be careful when buying pillows that have been ink jet printed versus a good silk screen. Too often we see pillows (or other garments) that are "print-on-demand," and the colors are applied through an ink jet process. 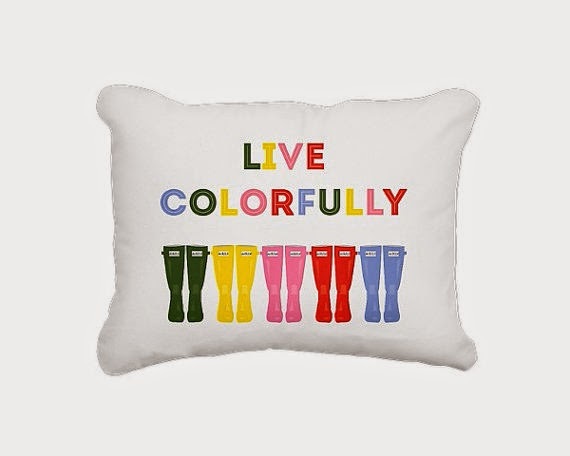 What you get is bright colors that wear off very easily (i.e., you end up buying lots of pillows as soon as the ink fades or rubs off!!). You can bet the Target pillows are quality made!